This workshop will be offering the participants both a theoretical and practical introduction to computer recycling strategies in Westafrican countries. 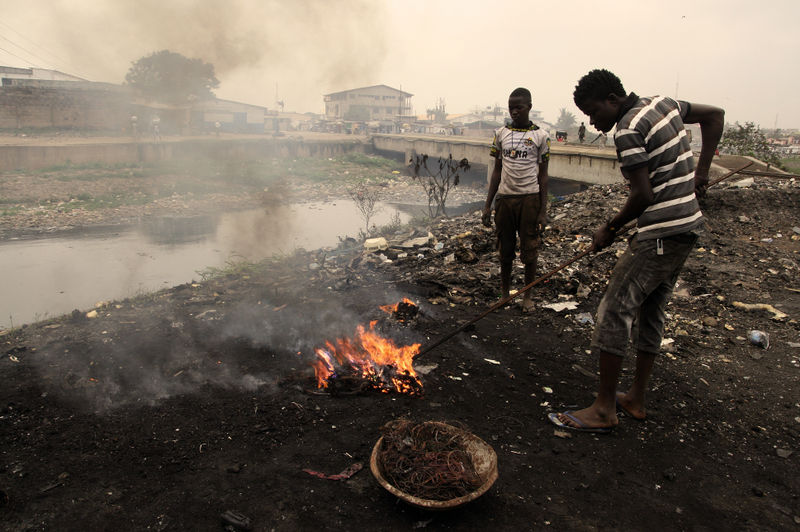 The suburb area of Agbogbloshie in Ghana’s capital Accra has become the world biggest electronic waste dumping ground. In Western countries old computers have to be disposed in an environmentally responsible manner which can become a costly affair. Through donating this obsolete computers to third world countries like Ghana, Nigeria or Ivory Coast people get rid of their e-waste problem and at the same time maybe even help the poor. In the theoretical introduction we want to show the current situation (summer 2014) at the Agbogbloshie dump. In the practical part participants can take apart second hand computers and we will detect and discuss how to reuse different parts. 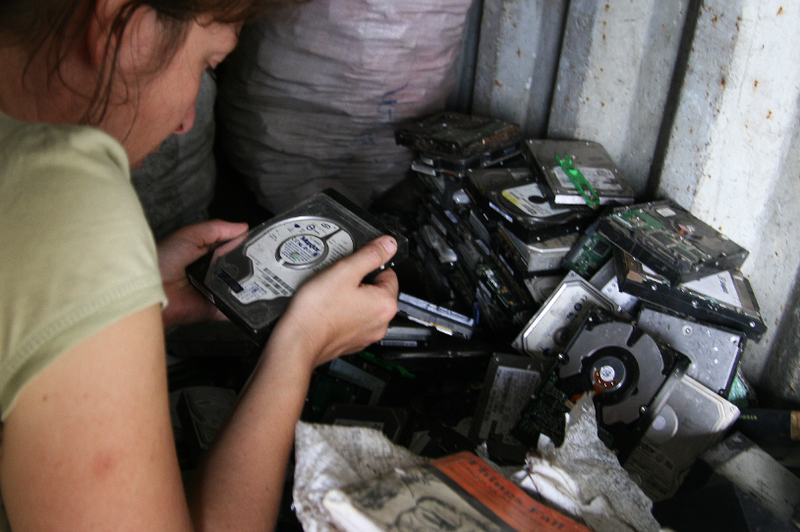 In this process we draw special attention to salvaged hard drives from Agbogbloshie and use open source software to recover data and get a clearer picture of the unknown computers’ pre-owner. The process of recovering and analyzing the hard drives will be documented in an online blog. e-waste, data forensics, open source rescue tools. For most of consumers electronic devices such as smartphones, tablets, notebooks, printers or microwaves are fundamental and indispensable parts of our daily lives. As a result of rapid growth and constant innovation the electronic industry is the world’s fastest growing industry. Same goes for the e-waste, electronic devices, components or accessories at the end of its useful life. Besides plastic and aluminum it can also contain small pieces of valuable metals such as gold, platinum or copper and hundreds of other highly toxic substances like lead, arsenic, cadmium, hexavalent chromium or mercury. Often this old electronics are disposed of in an environmentally safe way, or, if they are still usable, given to charities in the developing world. The electronics are packed in containers – on average 25% of the electronics are working – and shipped under false pretenses to the Westafrican ports of Accra or Lagos. Once there, the broken junk can be dumped for free. Ghanaians accept the situation because they get some working computers. 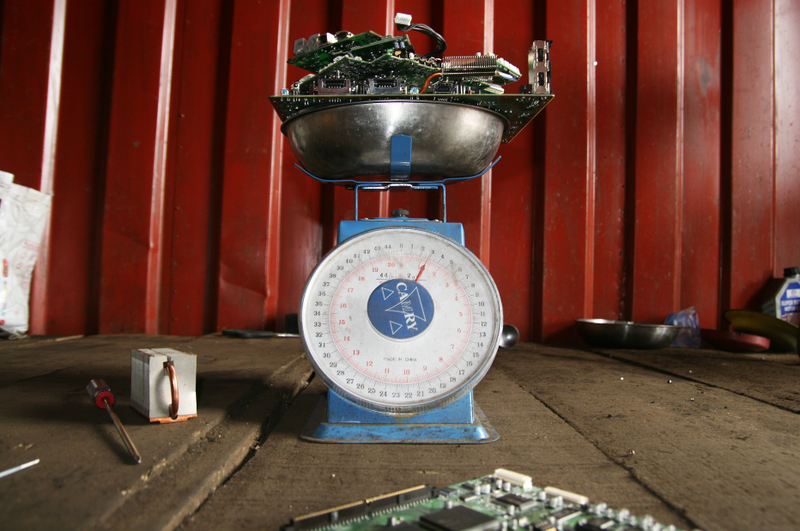 According to the head of the United Nations’ Environment Programme (UNEP), African countries are rapidly becoming the final destination of the world’s electronic waste, because of shadow markets emerging from international and domestic recycling loopholes. Asian countries like China and India impose tighter regulations on the import and methods of recycling e-waste and are therefore less attractive. Once on the dump, young boys try to salvage reusable material from them to sell them at the nearby market. The areas where the children work or attend school contain threatening pollutants over fifty times higher than risk-free levels. The workshop will give participants valuable first hand insights from the world biggest biggest e-waste dump at Agbogbloshie, Ghana. We will compare different recycling processes and show upcycled DIY projects. By using open source software tools participants will recover data from a sample set of hard drives bought at the Agbogbloshie e-waste dump. Together we will analyze the remaining files to find traces of the computers former owner. All data will be handled with care and respect and won’t be copied to the participants or published online. The workshop is planned into two modules: a ‘theoretical introduction’ and a ‘practical mission’. It can be arranged as a short session presentation that will be the ‘theoretical introduction’ of around 2 hours. With the addition of the practical part it can extend to a full day workshop of about 8 hours including breaks. We imagine an ideal group size of 10-15 participants. This part of the workshop introduces the participants to the history of recycling. We detect computers main components and see how and what parts salvage hunters in Agbogbloshie collect. Through several examples we present their methods and illustrate how toxic this job can be. The practical part of the workshop starts by dividing the participants into groups of 3-4 people. Each group will be handed out a second hand computer that holds a hard drive from the Agbogbloshie dump. In this module people come up with own concepts what parts of the computer they want to recycle and repurpose. Then the groups will recover the old hard drive and reanimate it in search for the pre-owners traces. We conclude with a discussion about data mining and show ways to securely delete personal data from disks. The workshop is organized by Linda Kronman and Andreas Zingerle, members of the artist group KairUs, an artist collaboration founded in 2010. It takes interest in Interactive Storytelling and Human-Computer/Human-Human interactions, exploring participatory and interactive art practices by using various media expressions. Linda Kronman is a media artist and designer from Helsinki, Finland. She has worked as an Art Director for media production companies and taken part in several multidisciplinary art and design projects. Spring 2010 she graduated Masters of Art in New Media from Aalto University, School of Art and Design (Helsinki, Finland). Currently she studies Media Art Histories at the Danube University Krems (Austria) and works as an independent artist as well as an animation designer. In her artistic work she explores interactive and transmedia methods of storytelling. She is interested in participatory art and design practices and she has organized several participatory workshops and attended international exhibitions. Andreas Zingerle is a media artist from Innsbruck, Austria. 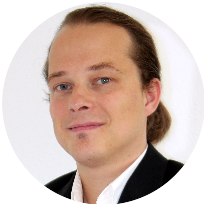 He is a PhD candidate at the Timebased and Interactive Media Department in Linz (Austria). He is researching scambaiting strategies and implements their mechanics in interactive narratives and media competence trainings. In the last years he worked on several installations exploring a creative misuse of technology and alternative ways of Human Computer Interaction. Green, J., The dirty secret of your NHS, 24 July 2008, Mail online, http://www.dailymail.co.uk/home/moslive/article-1033832/The-Dirty-Secret-Your-NHS.html. Leahy, S., Ghana: Toxic Electronic Waste Contaminates Surrounding Area, ALLAFRICA.COM (Nov. 1, 2011), http://allafrica.com/stories/201111020037.html. Moukaddem, K., Children on the frontlines: the waste epidemic in Africa, (Sept. 9, 2011), http://news.mongabay.com/2011/0909-moukaddem_ewaste.html. 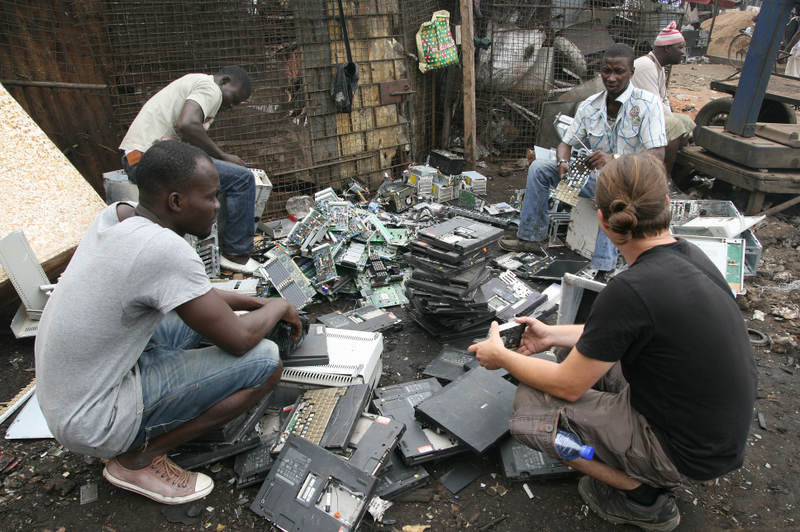 Simpson, J., Toxics Alert: Africa Emerging as E-Waste Dumping Ground, (Dec. 2006), http://enews.toxicslink.org/news-view.php.